Although only approximately one-mile long, Sairee Beach is the longest stretch of sand on the stunning island of Ko Tao, also sometimes referred to as Turtle Island. Sairee Beach, which is located on the island’s west side, is popular with snorkelers and scuba divers. Although this is a relatively low-key area, it still boasts a number of nightclubs and bars. You can reach the lovely island of Ko Tao either by air or by ferry service. This beach, which is located on the island of Ko Phangan, is world famous for its Full Moon Party. While not for everybody, the Full Moon Party attracts thousands of young travelers from around the world. During this popular event, the beach is lined with huge sound systems and crowded with partyers. 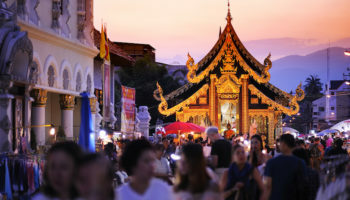 Although the Full Moon Party is the area’s most popular event, parties are held practically every night on the beaches and streets of Haad Rin. Not surprisingly, Haad Rin has become a very popular stop for backpackers. In addition, because Haad Rin is located on a narrow peninsula, travelers can enjoy viewing both sunsets and sunrises over the sea at this destination. Travelers looking for a laid-back resort area will enjoy Lamai Beach, which is located in Samui, the second biggest island in Thailand after Phuket. Lamai Beach is a smaller, quieter resort area than its neighbor Chaweng, and it also tends to be less crowded. Lamai Beach boasts a long stretch of white sand that is perfect for relaxing. Visitors to this resort area will find plenty of bars, restaurants and activities to keep them both busy and well-fueled. Originally, built in the 1920s as a royal getaway for King Rama VII, the Hua Hin Beach area has been a long-time favorite vacation destination for Thais. Today, this 8 km (5 mile) long beach is also popular with tourists. Hua Hin is the site of the Klai Kangwon Palace, which is still used by Thai royalty today. 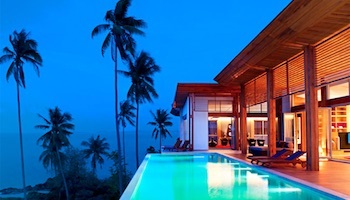 Not surprisingly, Hua Hin is also a popular vacation destination for rich and famous Thai families. In addition, the Hua Hin beach area, which is located in the northern part of the Malay Peninsula, is a golfer’s delight. Currently, it is home to the highest concentration of golf courses in all of Thailand. 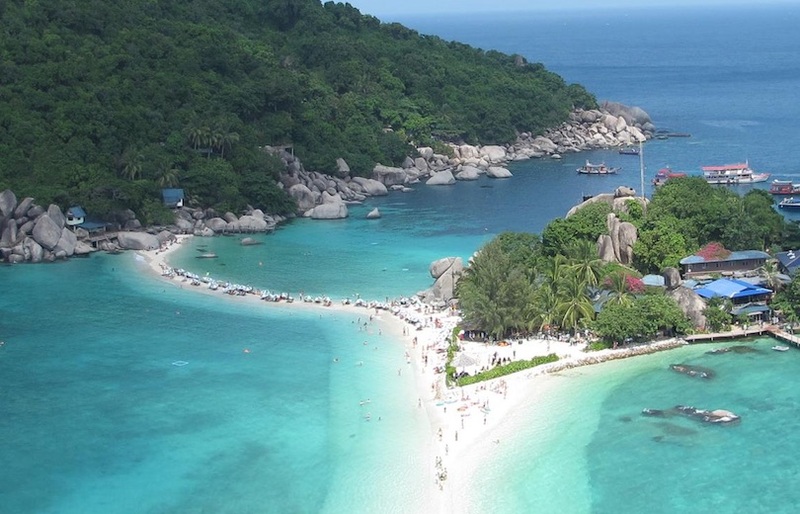 Tiny Ko Nang Yuan is a popular day trip from Ko Tao, so its beautiful beaches can be crowded at times. But it’s a pretty island and its clear waters are perfect for snorkeling and scuba diving. 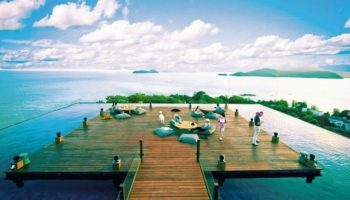 To visit this island, travelers who are not staying on Ko Nang Yuan must pay a 100 baht fee. 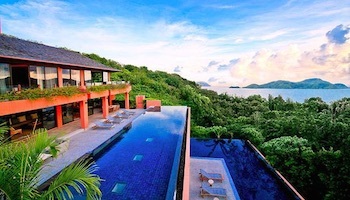 The island does have one dive resort for travelers who prefer to stay on this small island. 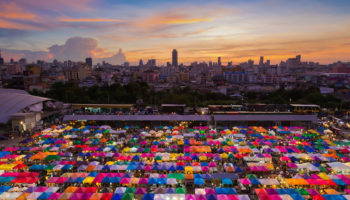 Travelers who want to do more than worship the sun should head over to colorful and crowded Patong, the unofficial party capital of Phuket. 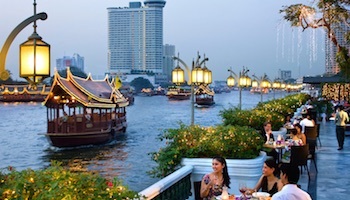 This vibrant area is filled with nightclubs, restaurants, bars and tourist shops. On Patong’s 3.5 km (2.2 mile) long beach, travelers will find many vendors hawking parasailing adventures, jet ski rentals and local wares. This is one of the most popular beaches in Thailand, especially with those who enjoy partying and having a good time. Sunset Beach, which is located on a small bay on Ko Lipe, also goes by the name Hat Pramong. As it name implies, this beach faces west and offers stunning sunsets. 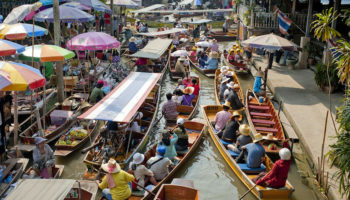 This is a peaceful, beautiful area that will give travelers a glimpse of the way Thailand once was. For now, Sunset Beach is not yet home to large resorts. 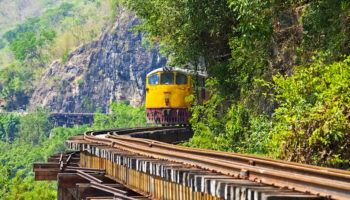 Instead, travelers can enjoy the simple life in comfortable bungalows and huts. This pretty beach located on Ko Chang, is a great family destination that boasts a long stretch of sugary sand. While White Sand Beach is the most popular and developed area on Ko Chang, it is still much quieter than, say, the bustling resort areas of Phuket. Accommodations in White Sand Beach range from four-star resorts to quaint bungalows, and this area boasts many restaurants and bars. 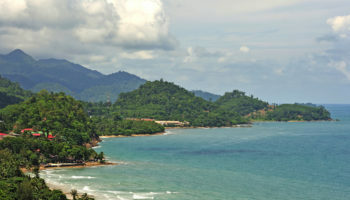 Ko Chang is located in southeast Thailand near Cambodia. This gorgeous site on Ko Phi Phi Leh is now famous for being the location of Leonardo DiCaprio’s film “The Beach.” Today, tourists from all over the world come to this sheltered bay, which is framed on three sides by tall cliffs, to see and enjoy this beautiful location for themselves. Ko Phi Phi is also well-known for its excellent diving and snorkeling. Because Phi Phi Leh is a national park, travelers must pay a 200 baht fee to enter. 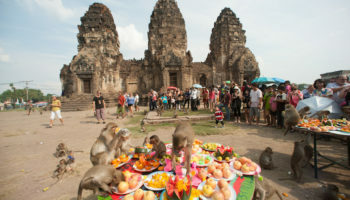 However, tourists who enter with a group will typically pay this fee as part of their tour price. 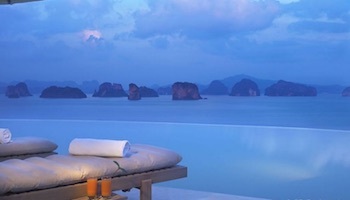 Accommodation can be found on the larger Ko Phi Phi Don, which is just as stunning. Which beaches in Thailand do you consider the most beautiful? Nice pics! Hat Pramong is my favourite from your list. How about Bottle Beach on Koh Phangan? That could be a contender for the list too. amazing pictures. the beaches looks stunning. i have seen all this places but like 10 years ago. I would not recommend to a single friend to go any of them by now – even during low season. Good thing there are still (other) nice places to discover in Thailand. If you like less-crowded beaches, then Koh Lao Liang is the best option. You can also go for rock climbing here.